Desk Magnifying Glasses- Made in Ireland! 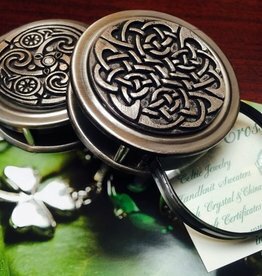 Available in 3 different styles of celtic knots, shamrock & claddagh designs! Can also be used as a paperweight!